Nice local trade with good miles. 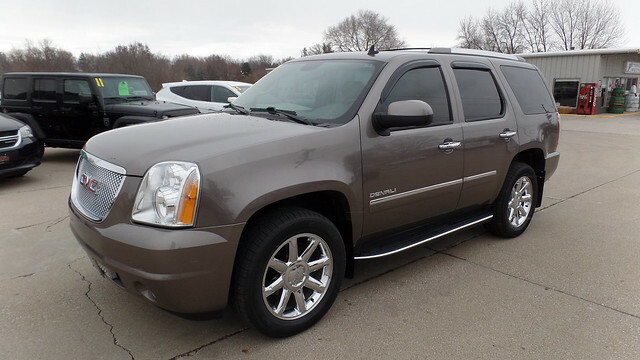 This Yukon Denali come with All Wheel Drive, Heated Steering Wheel, Chrome Alloy Wheels, Front Fog Lamps, Remote Start , Sunroof, Navigation, Power Rear Lift Gate, Power Seats, Third Row Seating, Tow Package, Entertainment System. This nice looking SUV has been serviced and is ready to go.